(TibetanReview.net, Dec24, 2015) – One of the most pro-China of ethnic Tibetan officials has spoken on the taboo subject of ethnic discrimination in mainland China, calling for efforts to tackle the problem. Speaking at a bimonthly session of the National People’s Congress (NPC), China’s parliament, Standing Committee, Qiangba Puncog has said Dec 22 that despite the government’s repeated effort to fully implement China’s ethnic policies, the problem persisted, reported China’s official Xinhua news agency Dec 23. His remarks appear to counter Zhu Weiqun, former executive vice minister of the powerful United Front Work Department who still occupies similar position in the political advisory body, the Chinese People’s Political Consultative Conference. Zhu, a torch-bearer of China’s hardline policy on Tibet and other minorities, had previously called for the scrapping of any sort of legal recognition of ethnic minorities in the People’s Republic of China. 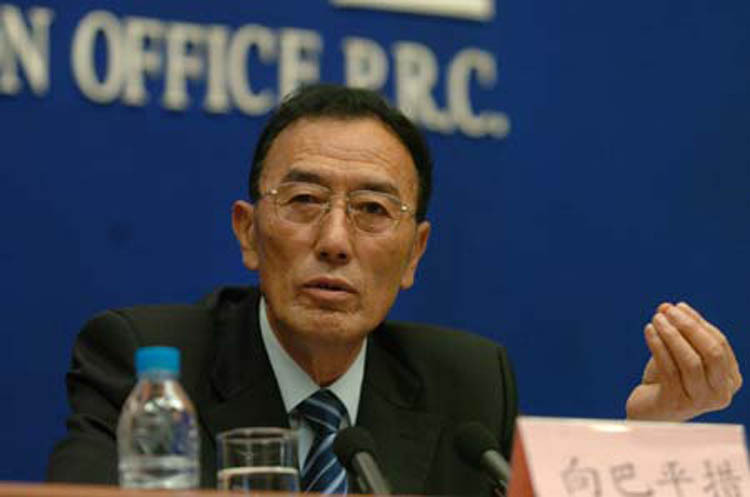 Qiangba Puncog, a vice chairman of the NPC Standing Committee, has said the problem of ethnic discrimination has “generated unwanted social impact and caused strong public reactions from ethnic regions.” He was reported to have been speaking at a bimonthly session of the NPC Standing Committee to explain a report on enforcement of China’s regional ethnic autonomy law. “In recent years, there have been recurring instances where people with ethnic backgrounds, even Han people, were discriminated against or denied access to certain service trades, such as transport stations, airports and wharfs, as well as in security checks at exit-entry frontiers, checking-in at hotels and in shopping,” the one-time governor of Tibet Autonomous Region was quoted as having said. Qiangba Puncog had also served as Chairman of the TAR regional people’s congress before he moved to his current position. “Such practices which run counter to the regional ethnic autonomy law must be resolutely rectified,” he has urged. China officially recognizes 56 ethnic groups, including some who are in fact Tibetans, as well as the dominant Han group which makes up the largest population of more than 90 percent. Ethnic autonomous areas account for 64 percent of the PRC’s total land territory.